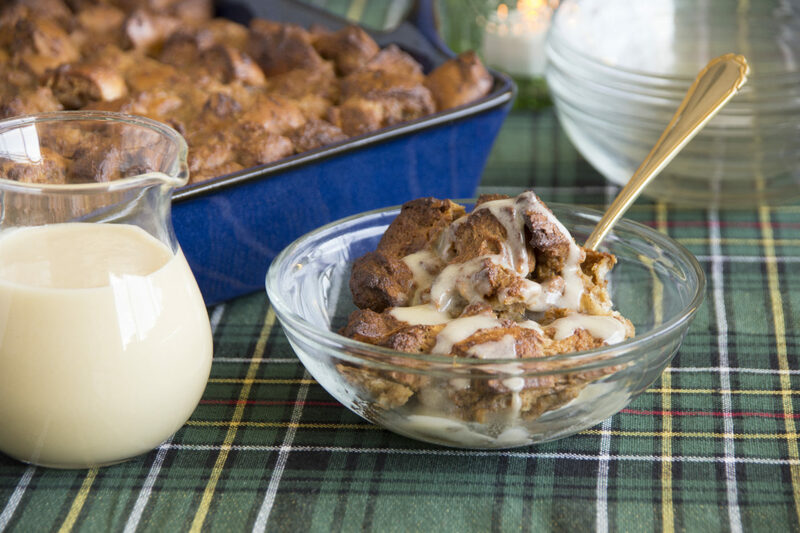 Delicious gingerbread flavors in a comforting bread pudding.Delightful! 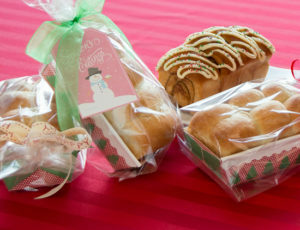 Cut rolls into 1 inch cubes. Place cubes on a baking sheet and bake at 350°F 10 minutes. In a large bowl, combine remaining ingredients and mix well. 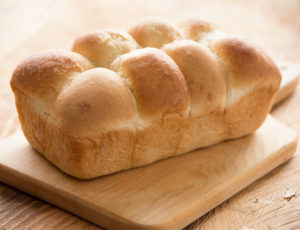 Add roll cubes and toss until well combined. Let sit for 10-15 minutes. Spoon mixture into a sprayed 9 x 9 inch baking pan. Bake at 350°F 45-60 minutes or until set in center. Serve with vanilla sauce. For vanilla sauce, place sugar, butter and condensed milk in a saucepan and stir until combined. Cook over medium heat until melted and creamy being careful not to let bottom scorch. In a medium bowl, beat the egg. Add the cooked mixture a little at a time, to temper the egg and prevent it from cooking, mixing well. Stir in vanilla.